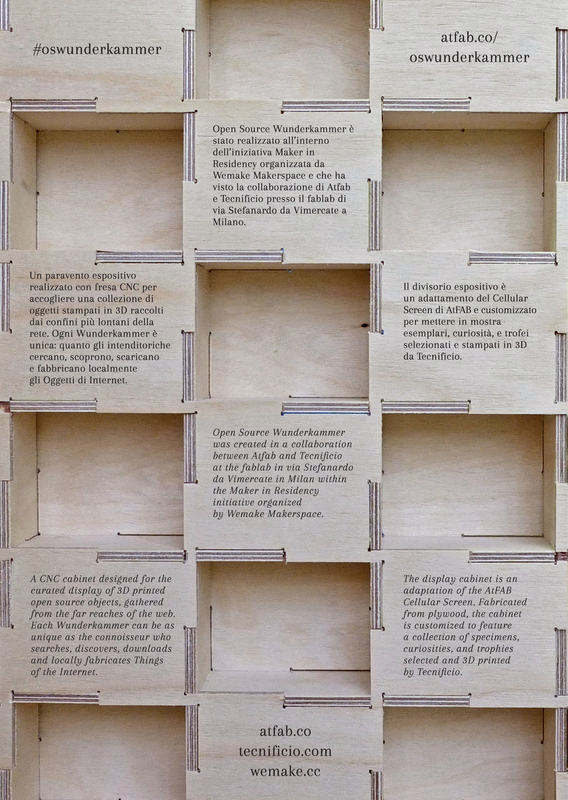 he Open Source Wunderkammer is a cabinet designed for the curated display of 3D printed open source objects. It holds curiosities gathered from the far reaches of the world wide web, and is as unique as the explorer who searches, discovers, downloads and locally fabricates Things of the Internet. The display cabinet is an adaptation of the AtFAB Cellular Screen. Fabricated from plywood, the cabinet is customized to feature a collection of specimens, curiosities, and trophies carefully selected and 3D printed by Milanese design team, Tecnificio. 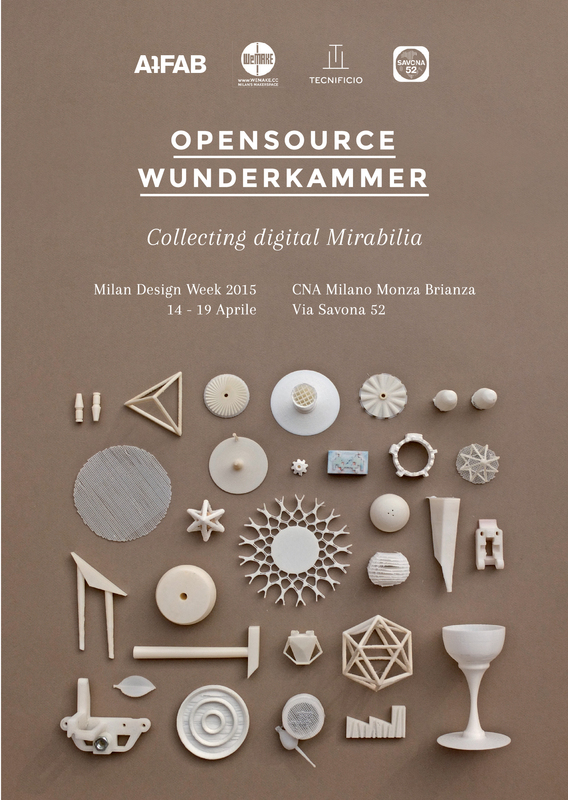 he Wunderkammer is on display at CNA Milano Monza Brianza, Via Savona 52 during Milan’s Design Week 14 – 19 April 2015. Its exhibition is the culmination of our Maker in Residency at WeMake, Milan’s Fabrication Lab. 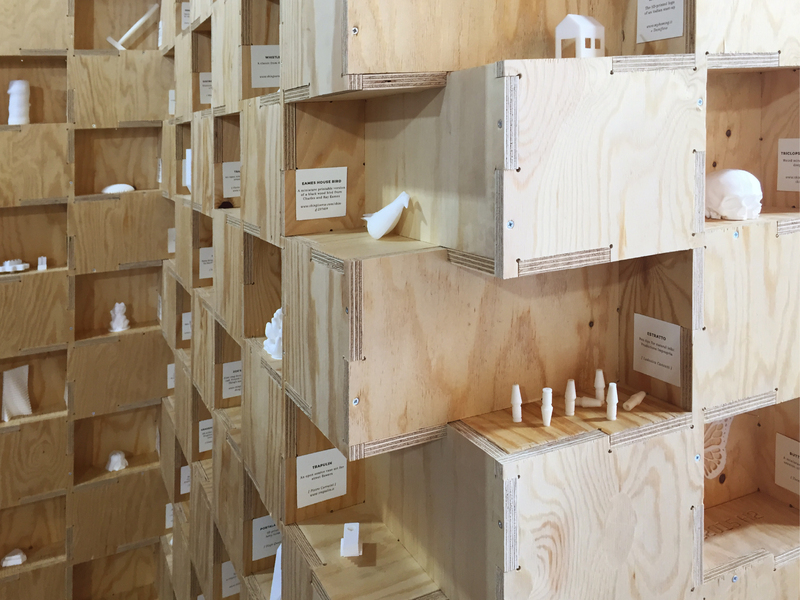 Download cut files to make your own CNC fabricated Wunderkammer cabinet, or collect 3D files and start printing your collection of curiosities. 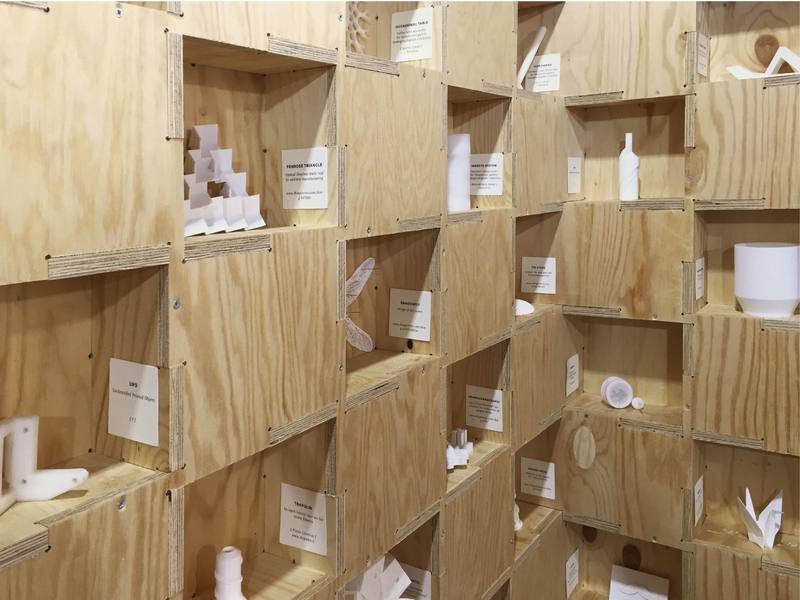 Share your collection of curiosities #OSwunderkammer.